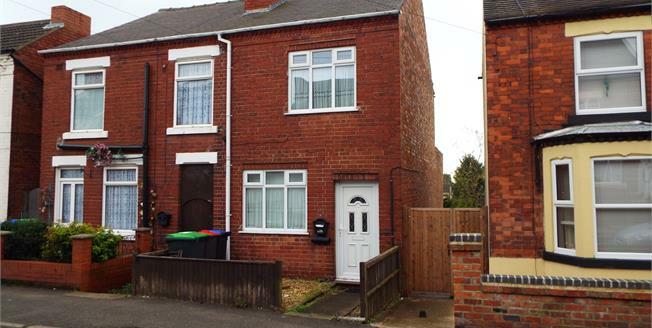 Three bedroom semi detached property with no upward chain perfect for first time buyers or investors who want good rental return. The property is spacious throughout and briefly comprises of; lounge, kitchen diner leading through to utility and bathroom. To the first floor are three good size bedrooms with two benefitting with built in storage over the stairs. Outside the property to the rear property is a long garden which is mainly decked but also has a shed/workshop and pebbled section to the end. To the front is a brick built wall with a courtyard and shared access to the rear. A view is highly recommended so call today. UPVC double glazed window and door. Radiator and wood burner. UPVC double glazed window. Radiator. Roll edge work surface, wall and base units, stainless steel sink, electric oven and electric hob. UPVC double glazed door. Double glazed uPVC window. Radiator. Granite effect work surface, wall and base units, space for washing machine. UPVC double glazed window. Radiator. Standard WC, panelled bath, shower over bath and porcelain sink. UPVC double glazed window. Built-in storage over the stairs. Radiator. UPVC double glazed window. Built-in storage cupboard over the stairs. Radiator.